Dr. Vikas Mehta says catching head and neck cancers early drastically improves a patient's outcome, and the free screening could be a life saver for some. 65-year-old Donny Barnes of Bossier City is a throat cancer survivor. He says people should take advantage of this exam and not ignore questionable lumps or lesions. Mehta performed robotic surgery on Barnes in Dec. 2012. It was followed up with radiation and chemotherapy. Mehta says robotic surgery is the latest advancement in removing tissue in the back of the throat where a surgeon’s hands can’t reach. Mehta can maneuver small instruments as if they were his own hands. “Before, to access those areas, we had to make a big hole through the neck and that had a lot of consequences with feeding tubes, swallowing problems and tracheotomies. 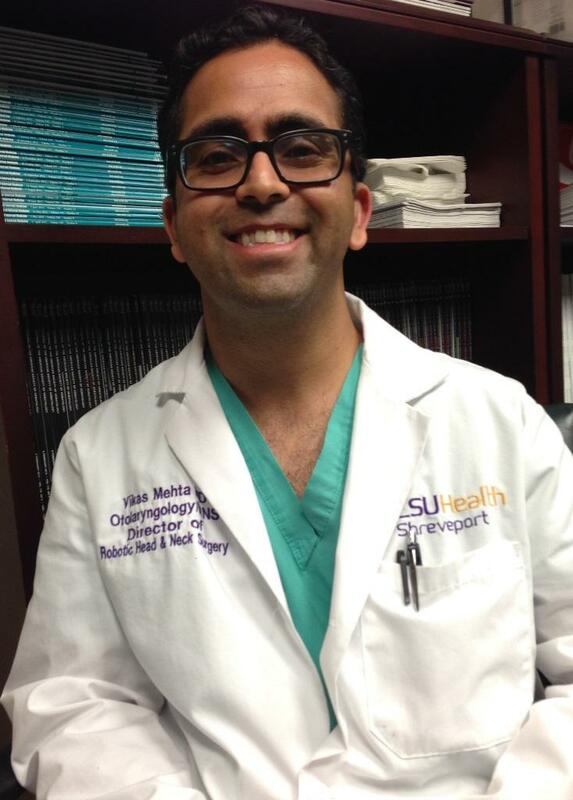 Now, we’re able to access everything through the mouth in a kind of minimally invasive way,” Mehta said. While alcohol and tobacco are major risk factors, Mehta sees an unsettling trend of oral cancers stemming from the human papillomavirus (HPV). The screenings are set for Friday, April 25, from 8 a.m. - 3:30 p.m. at Feist-Weiller. A second screening will be held at the Barksdale Air Force Base Air Show on Saturday, April 26, from 9 - 11 a.m.
Feist-Weiller Cancer Center is starting a loaner hearing aid program for terminally ill cancer patients. All donated hearing aids will be loaned out to the patients who need them during the remaining months of their life. LSU Health Shreveport clinical audiologist Jessica Bever has fielded requests for spare hearing aids from physicians. Unused hearing aids are all around, according to Bever. It’s a matter of collecting them and creating a lending program.